Hike into the hillsides above Rio for amazing views and fresh air during this 5-hour trek to the peak of ‘Dois Irmaos’ (Two Brothers Hill). Depart from Vidigal favela on easy walk to the summit of this well known hill. As you hike, admire the lush foliage, endangered orchids and plentiful birds like hawks and owls that inhabit the area. 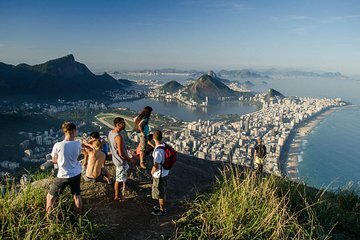 Enjoy postcard-worthy views of Rio de Janeiro when you reach the peak, followed by time to explore the streets of Vidigal with your guide. Round-trip hotel transport is also included.